In 2001 our company started as a small market selling fresh island produce and Asian grocery. We had a kitchen at the back of the store and one day a lady customer asked about the wonderful aroma of Thai cooking being prepared by my wife and asked if we would sell the food to her. A year later our first restaurant Bangkok Chef was born. Today Bangkok Chef has five locations serving the communities of Nuuanu, Manoa, Iwilei, Ewa Beach, Moiliili, all the people living in this beautify Oahu island, and tourists coming from the U. S. Mainland, Canada, Japan, Korea, China, and other countries. 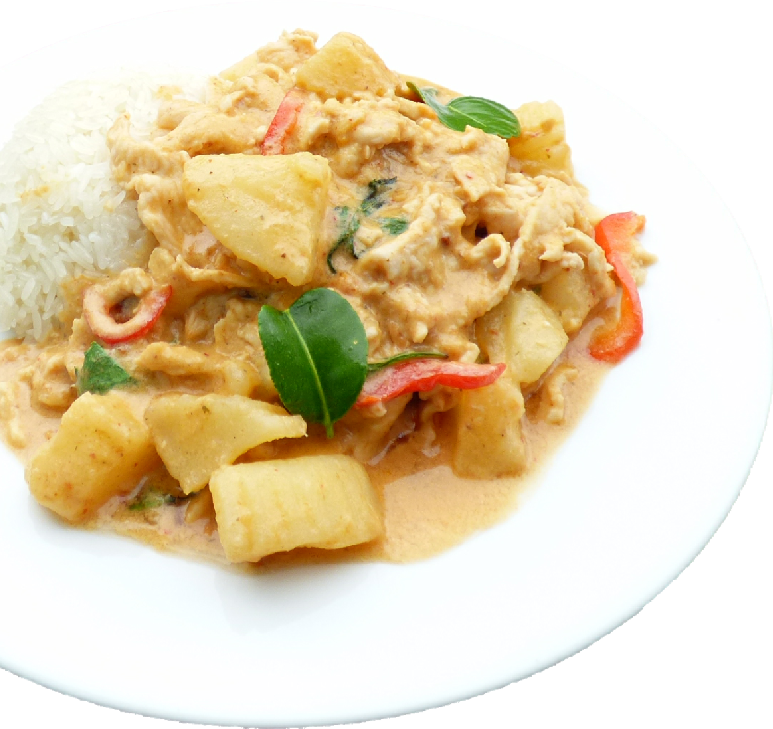 Our menu includes delicious Thai and Southeast Asian dishes. The newest additions to our menu are the Lemon Grass Grilled Chicken and Beef Noodle Soup (Thai style pho). For the past 15 years Bangkok Chef has been committed to serving good quality and good value food that’s fresh, simple and delicious. Check out our reviews by local food critics in the Honolulu Advertiser and the Star-Bulletin. Thank you.